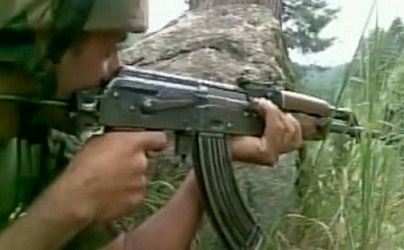 The Assam Rifles on Saturday had a fierce gun-battle with suspected NSCN (IM) cadres at Longsongbasti in Changlang district of Arunachal Pradesh along the Assam-Arunachal Pradesh border, neighbouring Tinsukia district. According to Army sources, a team of Assam Rifles conducted an operation in the area on the basis of secret inputs that a group of Naga militants was camping in Longsongbasti under the Nampong Police Station under Changlang district of Arunachal Pradesh. “On receiving information regarding the arrival of the Assam Rifles team in Longsongbasti, the suspected militants opened fire at the team of the Assam Rifles personnel. In retaliation, the alert Assam Rifles personnel also countered and opened fire targeting at the group of militants,” said Army sources. It may be mentioned that in the Longsongbasti area under Nampong Police Station in Changlang district of Arunachal there has been a dominance of NSCN(IM) cadres since long. Therefore it has been suspected that the NSCN group might belong to the NSCN(IM) faction.